Cash back credit cards are popular because they provide tangible, easy-to-understand benefits. Who doesn’t like getting a credit on their monthly credit card statement – or, better yet, actual cash deposited into the account of their choice? Cash back credit cards can be even more popular than our top-rated gas credit cards and travel rewards cards. But not all cash back credit cards are created equally. Some offer the same cash back rate on all purchases. Others offer higher cash back rates on certain spending categories, such as groceries or gas, and lower rates on everything else. Others offer bonus cash back on spending categories that rotate every quarter. A few accrue cash back on purchases and monthly payments. And some cash back cards even hew to hybrid models, with cash back on certain spending categories and different types of rewards (such as airline miles) on others. You’ll find each type of card on this list of the best cash back cards available to U.S. consumers today. Keep in mind that most cash back credit cards require applicants to have good to excellent credit – usually indicated by a credit score above 700, and sometimes even higher. If you don’t meet that threshold, work on building your credit before applying. 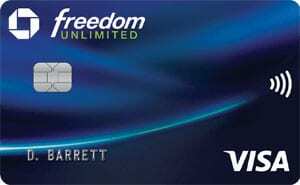 Chase Freedom Unlimited is similar to the flagship Chase Freedom Card, but with an important distinction: Instead of flat 1% cash back and rotating 5% cash back categories with quarterly spending caps, it simply earns an unlimited 1.5% on all purchases. You can redeem for virtually anything, in any amount, at the Chase Ultimate Rewards® portal – including cash equivalents, merchandise, and travel. Chase Freedom Unlimited has a great (and sometimes overlooked) perk for loyal Chase credit card customers. If you also have the Chase Ink Business Preferred ($95 annual fee) business card or the Chase Sapphire Preferred ($95 annual fee) travel rewards card, you can transfer points earned through Freedom Unlimited to those accounts. You can then transfer those points at a 1-to-1 ratio to a number of different frequent traveler programs, or redeem them for travel purchases through the Ultimate Rewards portal and receive a 25% bonus (for instance, boosting the value of a 50,000-point redemption to $625). However, keep in mind that you need to obtain either Ink Preferred or Sapphire Preferred/Reserve – and remember, having Chase Freedom Unlimited doesn’t necessarily qualify you for those cards. Sign-up Bonus: Earn Double Cash Back – that’s 3% cash back on all purchases during the first year, up to $20,000 spent. After that, earn unlimited 1.5% cash back on all eligible purchases. Cash Back Rate: Unlimited 1.5% cash back on all purchases. Redemption: You can redeem your accumulated cash back rewards in any amount. Redemption methods include statement credits, bank account deposits, gift cards, general merchandise purchases made through Chase’s Ultimate Rewards portal and direct with third-party retailers such as Amazon, and travel purchases made through Chase’s Ultimate Rewards portal. Introductory APR: 0% introductory purchase and balance transfer APR for 15 months after account opening. Regular APR: Following the end of the introductory period, Chase Freedom Unlimited’s regular APR ranges from 17.24% to 25.99% variable, depending on prevailing interest rates and your personal creditworthiness. The cash advance APR is 27.24% variable. There is no penalty APR. Key Fees: There’s no annual fee. Balance transfers cost the greater of $5 or 3% of the transferred amount. Cash advances cost the greater of $10 or 5%, and foreign transactions cost 3% of the total transaction amount. Other Perks: Additional benefits include purchase protection (up to $500 per item for 120 days after purchase), price protection (reimbursement for up to $500 of the difference between your higher purchase price and a lower advertised price within 90 days of purchase), and a free credit score (updated weekly) with Chase Credit Journey. See our Chase Freedom Unlimited Review for more information. Find out how you can apply for this card here. Quicksilver Cash Rewards complements a host of other Capital One financial products, including the Capital One 360 banking platform. Its cash back perk is attractive and easy to understand: 1.5% cash back on all purchases, everywhere, with no spending caps or rotating categories. You can redeem cash back for a statement credit, bank account deposit, or gift card. Early Spend Bonus: Earn $150 when you make $500 in qualifying purchases within 3 months of opening your account. Redemption: Redeem in any amount for statement credits, bank account deposits, or gift cards. You can also set up automatic redemptions at predetermined thresholds ($25, $50, $100, or $200) and receive your cash back in your preferred mode when you hit the threshold. Introductory APR: 0% purchase and balance transfer APR for the first 9 months. Key Fees: There’s no annual fee or foreign transaction fees. Cash advances cost the greater of $10 or 3%. Other Perks: Card membership automatically entitles you to Visa Signature benefits, including travel upgrades, exclusive shopping discounts, and preferred seating at sporting events and concerts. 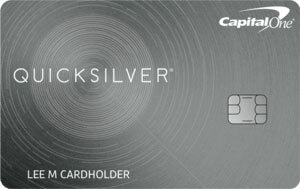 See our Capital One Quicksilver Cash Rewards Review for more information. Find out how you can apply for this card here. The American Express Cash Magnet™ Card is a great general spending card for consumers who tend not to favor specific purchase categories. Like Chase Freedom Unlimited and Capital One Quicksilver, it earns unlimited 1.5% cash back on all eligible purchases, with no caps or restrictions. And, as a relatively new addition to Amex’s stable, it comes with a generous limited-time welcome offer: up to $150 in bonus cash. Other perks include a 15-month 0% APR promotion for purchases and balance transfers and a nice lineup of value-added perks, including discount opportunities through Amex Offers. One big drawback is the $25 minimum redemption threshold, which could be an issue for lighter spenders. Welcome Offer: For a limited time, earn $150 cash back when you make at least $1,000 in eligible purchases within the first 3 months. Cash Back Rate: Unlimited 1.5% cash back on all eligible purchases, with no limits on how much you can earn. Redemption: Redeem for statement credits in any amount over $25. American Express may also offer gift card and merchandise redemptions as well, but these are subject to change and may not always be available. Introductory APR: 0% purchase and balance transfer APR for 15 months. Balance transfers must be made within 60 days of account opening. Key Fees: There’s no annual fee. The foreign transaction fee is 2.7%. Balance transfers and cash advances cost the greater of 3% or $5. Other Perks: Amex’s Plan It feature lets you set up flexible monthly payment plans for large purchases. Instead of interest charges, you’ll pay a fixed fee on your plan payments. Other benefits include Amex Offers (a discount suite), complimentary rental car coverage for loss and damage, travel accident insurance, extended warranties on certain covered items, cell phone protection, and other benefits for travelers and shoppers. See our American Express Cash Magnet Review for more information. Find out how you can apply for this card here. Wells Fargo Cash Wise Visa is one of a growing cohort of “1.5% cards” – cash back credit cards that earn a flat, unlimited 1.5% return on spending. However, it comes with a nice twist: in addition to an attractive $200 sign-up bonus that requires $1,000 in spending within the first 3 months, Wells Fargo offers unlimited 1.8% cash back on all Apple Pay and Android Pay purchases made during the first 12 months. If you’re a fan of mobile wallet technology, you’ll love this benefit – and likely profit handsomely from it. Once you clear the $20 cash back threshold, you can reap your rewards at Wells Fargo ATMs nationwide. When you hit $25, additional doors open – you can then redeem for paper checks, statement credits, or deposits into your Wells Fargo bank account. If you’re already a Wells Fargo deposit account holder, this card comes with low-cost overdraft protection transfer capabilities too. Just remember to opt in after signing up. Sign-up Bonus: When you make $1,000 in qualifying purchases within 3 months of sign-up, you get a $200 cash bonus. You also get 1.8% cash back on all Apple Pay and Android Pay purchases made within the first 12 months. There’s no limit to how much you can earn through Apple Pay and Android Pay. Cash Back Rate: Unlimited 1.5% cash back on all purchases, including Apple Pay and Android Pay purchases made after the 12-month introductory period. Redemption: The minimum redemption is $20 to $25, depending on how you choose to redeem. ATM redemptions allow the lower threshold. Introductory APR: 0% APR on purchases and balance transfers for 12 months. Key Fees: There’s no annual fee. The foreign transaction fee is 3%. During the first year, balance transfers cost either $5 or 3% of the amount of each transfer, whichever is greater. After that, they cost the greater of $5 or 5%. Other Perks: The cell phone protection plan covers certain communications devices up to $600 per incident and $1,200 per year. Travel inconvenience coverage reimburses travelers for lost or damaged baggage. Overdraft protection transfers (opt-in) cost $12.50 to $20, depending on transfer size. See our Wells Fargo Cash Wise Visa Credit Card Review for more information. Find out how you can apply for this card here. Citi Double Cash Card’s two-tiered cash back program rewards cardholders who pay their balances in full each month. As long as you’re a cardholder in good standing, you’re guaranteed to earn 1% cash back on all eligible purchases that post to your Double Cash account. But you’ll only achieve the card’s effective 2% cash back rate when you pay off your balance in full – as you should, under normal circumstances. 2% cash back isn’t the only Double Cash benefit worth touting. The card’s 18-month 0% APR balance transfer promotion is among the best in the category, and the value-added perks are unusually generous for a no-annual-fee card. Sign-up Bonus: There’s presently no sign-up bonus on the Citi Double Cash Card. Check back for updates. Cash Back Rate: Earn unlimited 1% cash back on all purchases when they post to your account, then another 1% cash back on all balance payments, for a total effective cash back rate of 2% when you pay your balance in full. You must make at least the minimum payment to qualify for the 1% cash back rate on balance payments during that statement cycle. Cash back expires after 12 months of account dormancy (no purchases or redemptions). Redemption: The minimum redemption is $25. Introductory APR: 0% APR on purchases and balance transfers for 18 months. Key Fees: There’s no annual fee. The foreign transaction fee is 3%. Balance transfers cost the greater of $5 or 3% of the transferred amount. Other Perks: Citi® Private Pass® boasts presale tickets, VIP admission, and complimentary access to paid events, among other entertainment benefits. Citi® Concierge is a 24/7 specialist service built to assist cardholders with travel, shopping, dining, entertainment, and more. See our Citi® Double Cash Card Review for more information. Learn more about this card here. The U.S. Bank Cash+ Visa Signature Card has a three-tiered cash back program with unlimited earning potential. The headline here is the top tier, which pays 5% cash back on purchases in two categories of your choice, up to $2,000 in combined category spending per quarter. The second tier pays unlimited 2% cash back on eligible purchases made in an additional category of your choice. Categories tend to have broad appeal: gas stations, restaurants, drugstores, and so on. However, you must activate your categories in advance of each quarter; otherwise, you’ll earn the card’s baseline 1% cash back (unlimited) on all purchases. Redeeming earned cash back is easy with Cash+. There’s no minimum to redeem for credit card statement credits (the most seamless option) or deposits to an eligible bank account. You can also redeem for reward cards (gift cards) in $5 increments, starting at $20. A word of warning: you must redeem cash back within 36 months of earning it, or it’s gone forever. Additional benefits of Cash+ include an easy-to-attain sign-up bonus worth $150 on $500 in eligible purchases within the first 3 months, and a 0% APR promotion on balance transfers for the first 12 months. As long as you can tailor your spending to Cash+’s categories, it’s tough to imagine why you wouldn’t want this card in your wallet. Sign-up Bonus: When you make $500 in eligible purchases within 3 months of opening your account, you get a $150 cash bonus. Cash Back Rate: Earn 5% cash back on purchases made in 2 categories of your choice, up to $2,000 in combined spending across both categories. Earn unlimited 2% cash back on an additional category of your choice, and unlimited 1% cash back on all other eligible spending. The 5% and 2% categories are subject to change on a quarterly basis, and you must activate your cash back categories in advance to earn at the higher rates. Redemption: You can redeem accumulated cash back for statement credits, bank account deposits, or rewards cards (gift cards). There’s no minimum redemption for statement credit or bank account deposit redemptions. Reward card redemptions start at $20 and must be made in $5 increments. Cash back expires 36 months after the billing cycle in which it’s earned. Introductory APR: 0% APR on balance transfers for 12 months. Qualifying transfers must be made 60 days from your account opening date. Regular APR: Once the introductory period ends, the regular balance transfer APR ranges from 16.24% to 25.74% variable. The purchase rate falls within this range from day one, with the exact APR dependent on prevailing interest rates and your personal creditworthiness. Key Fees: There’s no annual fee. Balance transfers cost the greater of $5 or 3% of the transferred amount. Cash advances cost at least the greater of $5 or 3%, but some types of cash advances cost more. The foreign transaction fee is a flat 2% to 3%, depending on how the transaction is denominated. Other Perks: Additional benefits include complimentary loss and damage coverage on rental cars paid in full with your card, complimentary Visa concierge service, limited retail protection on covered purchases, and overdraft protection for U.S. Bank deposit account holders. See our U.S. Bank Cash+™ Visa Signature® Card Review for more information. Find out how you can apply for this card here. All purchases made with the Chase Freedom card earn 1% cash back, with no caps or restrictions, and purchases up to $1,500 in quarterly rotating categories earn 5% cash back. The categories are usually pretty broad and have wide appeal. For example, from April to June of 2018, purchases made at grocery stores (not including Target or Walmart) earned 5% cash back. Purchases made through Paypal or Chase Pay also receive 5% cash back. This is especially useful if you frequently shop on Ebay and make payment through Paypal. Limited-time promotions occasionally push Freedom’s earning power even higher – for example, in the fourth quarter of 2015, purchases at Amazon, Zappos, Audible, and Diapers.com earned 10% cash back up to the $1,500 limit. Chase Freedom accumulates Chase Ultimate Rewards points, a versatile spending currency that is worth $0.01 per point or more depending on redemption. Spending in the 1% cash back category earns 1 point per dollar, while spending in the 5% category earns 5 points per dollar. You can redeem for cash back (with each point being worth $0.01), deliverable as a statement credit, bank account deposit, or gift card at select retailers (including Amazon). There’s no minimum to redeem. You can also redeem for a wide variety of purchases, including travel and general merchandise, through Chase’s Ultimate Rewards portal. One small drawback of Chase Freedom: You have to manually activate your 5% cash back each quarter. If you don’t do so by the middle of the last month of that quarter, you forfeit the 5% cash back opportunity. Sign-up Bonus: When you make $500 in qualifying purchases within 3 months of opening your account, you get $150. Cash Back Rate: 5% cash back (5 points per $1 spent) on purchases in quarterly rotating categories, up to $1,500 combined spending across all categories. Unlimited 1% cash back on quarterly category purchases above the $1,500 limit, as well as on all other purchases. Redemption: You can redeem for statement credits, bank account deposits, and gift cards at a 1 point to $0.01 ratio. You can also redeem for travel, general merchandise, and other purchases at the Ultimate Rewards portal. Your cash back rewards don’t expire as long as your account remains open and in good standing, and there’s no minimum redemption threshold for cash back. Introductory APR: 0% APR on purchases and balance transfers for 15 months. Regular APR: Once the introductory period ends, Chase Freedom’s regular APR ranges from 17.24% to 25.99% variable. The exact rate depends on prevailing interest rates and your personal creditworthiness. The cash advance APR is 27.24% variable. There is no penalty APR. Key Fees: There’s no annual fee. Balance transfers cost the greater of $5 or 3% of the transferred amount. The foreign transaction fee is a flat 3%. Cash advances cost the greater of $10 or 5%. Other Perks: Chase’s Purchase Protection is an insurance product that covers all purchases made with your Chase Freedom card for 120 days, up to $500 per claim and $50,000 per account, against theft, damage, and loss. You also get a free credit score, updated weekly, with Chase Credit Journey. See our Chase Freedom Review for more information. Find out how you can apply for this card here. Discover it Cash Back is one of several quality cards from Discover. All purchases earn 1% cash back, with no spending caps or restrictions. Like the Chase Freedom® card, purchases in quarterly rotating spending categories earn 5% cash back, up to a $1,500 quarterly limit across all active categories. Example spending categories include department stores, gas stations, restaurants, movie theaters, home improvement stores, and Amazon.com. You need to manually activate the 5% cash back in your account each quarter. Sign-up Bonus: There’s no sign-up bonus, though the first-year double cash back is a very nice perk. Cash Back Rate: 5% cash back on spending in quarterly rotating categories, up to the $1,500 combined limit. Additionally, you receive unlimited 1% cash back on quarterly category spending above the $1,500 limit, and on all other purchases. Redemption: Redeem in any amount for statement credits, paper checks, bank account deposits, and Amazon purchase credits. Introductory APR: 0% purchase and balance transfer APR for 14 months. Key Fees: There’s no annual fee or foreign transaction fee. Balance transfers after the introductory period cost a flat 3% of the transferred amount. Cash advances cost the greater of $10 or 5%. Other Perks: Discover’s Freeze It feature lets you turn off many account features, including the ability to make new purchases and cash advances, at the click of a button. The Discover it card also comes with a free FICO credit score and no late fees on your first late payment. See our Discover it Cash Back Card Review for more information. If you love the supermarket, you’ll love the Blue Cash Preferred Card from American Express. You get 6% cash back on all U.S. supermarket transactions, up to a $6,000 annual spending limit. Once you hit $6,000, you get 1% back on U.S. supermarket purchases, with no upper limit. There’s no spending limit on the U.S. gas station and select U.S. department store categories – you get 3% cash back on every $1 spent in those places, period. And you get 1% cash back on all other purchases, with no limits. Welcome Offer. If you make $1,000 in qualifying purchases within 3 months of signing up, you get a $200 statement credit. Cash Back Rate. 6% cash back at U.S. supermarkets, up to $6,000 in spending per year. After that, you receive 1% cash back at supermarkets. Also, this card offers unlimited 3% cash back at U.S. gas stations and select U.S. department stores, and 1% cash back on everything else. Redemption. The minimum redemption is $25. You can redeem in $25 increments ($25, $50, $75, and so on) for statement credits, and in variable amounts for gift cards and general merchandise. Regular APR: Following the end of the introductory period, the regular APR ranges between 14.49% and 25.49% APR for purchases and balance transfers, depending on prevailing rates and your personal creditworthiness. 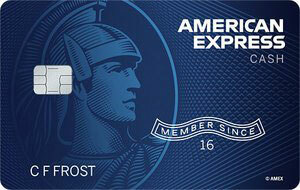 See our American Express Blue Cash Preferred Review for more information. Find out how you can apply for this card here. The Blue Cash Everyday Card from American Express gives you ample cash back on everyday, hard-to-avoid purchases: food, staples, fuel, clothing, and home goods. You get 3% cash back on U.S. supermarket purchases, up to the $6,000 annual limit. After you hit the limit, you get 1% cash back on supermarket purchases, with no spending cap. 2% cash back at U.S. gas stations and select U.S. department stores is unlimited, as is 1% cash back everywhere else. Your cash back comes as a statement credit. Welcome Offer. If you make $1,000 in qualifying purchases within 3 months, you get a $150 statement credit. Cash Back Rate. 3% cash back on U.S. supermarket purchases, up to $6,000 in annual spending (so $180 max annual cash back in this category). The card offers unlimited 1% cash back on U.S. supermarket purchases above the annual limit. Enjoy unlimited 2% cash back on U.S. gas station and select U.S. department store spending, and unlimited 1% cash back everywhere else. Redemption. The minimum redemption is $25. Once you reach this threshold, you can redeem in $25 increments for statement credits. You can also redeem for gift cards and general merchandise in variable amounts. Regular APR. Following the introductory period’s end, the variable APR ranges between 14.49% and 25.49% APR, depending on your personal creditworthiness and prevailing interest rates. 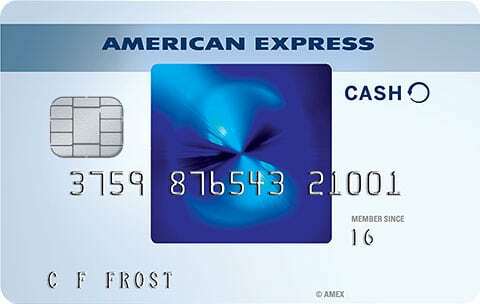 See our American Express Blue Cash Everyday Review for more information. Find out how you can apply for this card here. Capital One Savor Cash Rewards is a premium cash back card designed with foodies in mind. 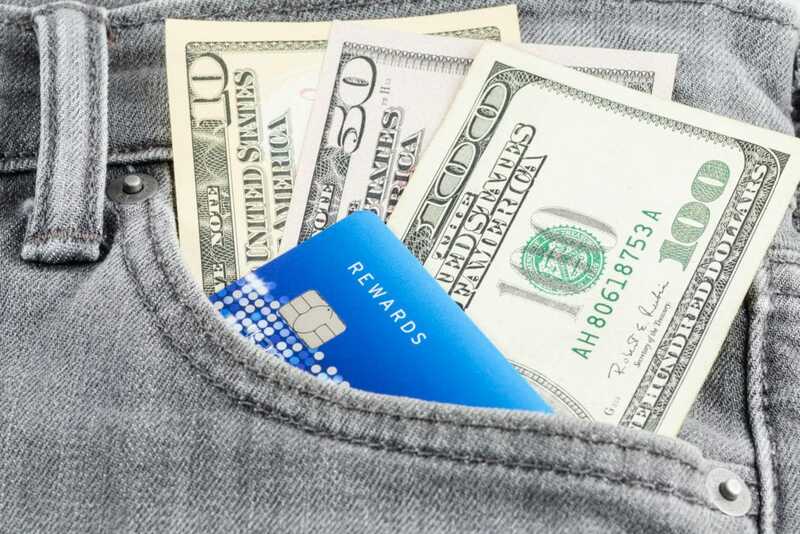 Its unlimited cash back rewards program returns 4% on dining and entertainment spending and 2% on grocery store spending – a nice balance for cardholders who can’t decide whether to eat out or stay in. The $95 annual fee is worth noting upfront, but the first-year waiver ensures it won’t erode the value of this card’s generous early spend bonus. 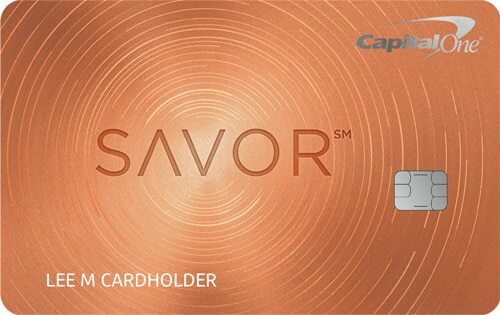 If you’re looking for a card that helps you save money at restaurants and rewards you during the first few months of membership, Savor should be high on your list. Early Spend Bonus: Get $500 in bonus cash when you spend $3,000 in qualifying purchases within 3 months of opening your account. Cash Back Rate: Unlimited 4% cash back on eligible dining and entertainment purchases, unlimited 2% cash back on eligible grocery store purchases, and unlimited 1% cash back on all other purchases. Cash back never expires and there’s no limit to how much you can earn. Redemption: Redeem in any amount for statement credits or mailed checks. You can also redeem for gift cards, merchandise, and other items, at variable redemption values. Capital One allows automatic, recurring redemptions at four pre-set thresholds: $25, $50, $100, or $200. Key Fees: $0 in the first year, then $95. There is no foreign transaction fee. Cash advances cost the greater of $10 or 3%. Other Perks: Through December 2019, enjoy a recurring statement credit against a Postmates Unlimited monthly membership. This card comes with a slew of World Elite Mastercard benefits, such as trip cancellation and interruption coverage (a form of travel insurance), price protection, complimentary rental car insurance, and more. See our Capital One Savor Cash Rewards Review for more information. Find out how you can apply for this card here. The Costco Anywhere Visa Card by Citi is premium cash back product exclusive to Costco members. If you’re already spending $60 per year (or $120, if you’re springing for the Executive membership) on a Costco membership, and you’re able to meet Citi’s stringent underwriting requirements, this card is a no-brainer. Why? For folks with long commutes, healthy travel and dining-out budgets, and long Costco shopping lists, the four-tiered cash back program is among the most generous around. Yes, the redemption framework is a little wonky – you have to redeem in person at Costco, and you have just one annual shot to do so. But most Costco members shop often enough that this isn’t a massive inconvenience. Sign-up Bonus: This card currently has no sign-up bonus. Check back for updates. Cash Back Rate: Earn 4% cash back on eligible gas purchases at Costco and qualifying gas stations, up to the first $7,000 in eligible purchases per year. Earn unlimited 3% back on eligible restaurant and travel purchases. Earn unlimited 2% cash back on eligible Costco purchases. Earn unlimited 1% cash back on all other eligible purchases, including gas purchases above the $7,000 annual spending cap. Redemption: At the close of your February billing statement, you’ll receive a redemption voucher for the full value of rewards earned during the previous year. You must redeem this voucher in a single in-person transaction at Costco, either as credit against purchases or for cash at the register (or both). The voucher remains valid until December 31 of the year issued. Key Fees: $0 with a paid Costco membership ($60 for a regular household membership and $120 for an Executive membership). There is no foreign transaction fee. Cash advances cost the greater of $10 or 5%. Balance transfers cost the greater of $5 or 3%. Other Perks: Fringe benefits include trip cancellation and interruption coverage, purchase protection for 90 to 120 on losses caused by damage or theft, complimentary rental car insurance, and extended warranties on select purchases. See our Costco Anywhere Visa® Card by Citi Review for more information. Learn more about this card here. The Amex EveryDay Preferred Credit Card is a supercharged version of the Amex EveryDay card. U.S. supermarket purchases earn 3 points per $1 spent, and U.S. gas station purchases earn 2 points per $1 spent, up to a $6,000 annual spending limit. Points vary in value from $0.005 to $0.01, depending on how you redeem, so every $1 spent at the supermarket (where you get 3x points) is worth between $0.015 and $0.03. After you hit the limit, supermarket and gas purchases still earn 1 point per dollar. Note that there’s a $95 annual fee on this card. The frequent-purchase points bonus is juicier than the non-preferred version of the card, too, if you can manage it: You get a 50% point bonus when you make at least 30 purchases per billing cycle, an average of about one purchase per day. Redemption procedures and values are identical to the regular Amex EveryDay. Keep in mind that, due to this card’s $95 annual fee, it’s only a good deal if you use it frequently – ideally, enough to qualify for the 50% monthly point bonus. If you don’t plan on using the card frequently, look elsewhere, especially given the complexity and variable values of the Membership Rewards points system. Welcome Offer: Earn 15,000 Membership Rewards points (worth between $75 and $150) when you make at least $1,000 in purchases within three months of opening your account. Cash Back Rate: 3 Membership Rewards points per $1 spent at U.S. supermarkets and 2 points per $1 spent at U.S. gas stations, up to a combined $6,000 annual spending limit. You also receive an unlimited 1 Membership Rewards point per $1 spent at the supermarket and gas station above the $6,000 cap, as well as on all other purchases. Redemption: Redeem accumulated points for gift cards, statement credits, general merchandise, travel purchases, and more. Redemption minimums start around 1,000 points. Point values range between $0.005 and $0.01 at redemption, depending on what you redeem for. Introductory APR: 0% introductory purchase and balance transfer APR for the first 12 months. Regular APR: Following the introductory period’s end, the variable APR ranges between 14.49% and 24.49% APR, depending on your personal creditworthiness and prevailing interest rates. Key Fees: There’s a $95 annual fee. Foreign transactions cost 2.7% of the total transaction amount. Balance transfers and cash advances cost the greater of $5 or 3%. Other Perks: Also comes with Return Protection, which protects against rejected returns up to $300 per incident, plus discounts, priority ticketing, and exclusive access to concerts and shows. See our Amex EveryDay Preferred Credit Card Review for more information. edit Card isn’t a traditional cash back card. Instead of calculating your cash back as a percentage of your purchase total, this card earns Membership Rewards points. You get 2 Membership Rewards points for every $1 spent at U.S. supermarketS, up to $6,000 per year, and 1 point per $1 spent on all U.S. supermarket purchases above that amount. You also get 1 Membership Rewards point per $1 spent on all other purchases. And if you make more than 20 purchases in a billing cycle, you automatically get a 20% point bonus for that cycle. You can redeem your points for gift cards (including American Express gift cards), travel purchases, online shopping (including at Amazon), Uber rides, Plenti points, statement credits, and more. Point values vary depending on how you redeem. For instance, 10,000 points gets you a $50 American Express gift card, $100 in Uber credits, or $60 in statement credits. In general, points are worth between $0.005 and $0.01, so every $1 spent at the supermarket (where you get 2x points) earns you between $0.01 and $0.02. You’ll like this card if you spend a lot on groceries, don’t like to deal with rotating spending categories, and can figure out the somewhat complicated Membership Rewards point system. Otherwise, a more traditional cash back card may be in order. Welcome Offer: You get 10,000 Membership Rewards points, worth roughly $50 to $100 depending on how you redeem, when you make at least $1,000 in purchases within three months of opening your account. Cash Back Rate: 2 Membership Rewards points per $1 spent at U.S. supermarkets, up to a $6,000 annual spending limit. Further, you receive 1 Membership Rewards point per $1 spent at the supermarket above the $6,000 cap, as well as on all other purchases. Redemption: Redeem Membership Rewards points at the Membership Rewards portal for gift cards, statement credits, general merchandise, travel purchases, and more. Redemption minimums start around 1,000 points. Point values range between $0.005 and $0.01 at redemption, depending on what you redeem for. Introductory APR: 0% introductory purchase and balance transfer APR for the first 15 months. Regular APR: After the introductory period’s end, the variable APR ranges between 14.49% and 25.49% APR, depending on your personal creditworthiness and prevailing interest rates. Key Fees: There’s no annual fee. Foreign transactions cost 2.7% of the total transaction amount. Balance transfers and cash advances cost the greater of $5 or 3%. Other Perks: Also comes with the American Express Return Protection policy, which compensates you up to $300 per item for attempted returns rejected by merchants. See our Amex EveryDay Credit Card Review for more information. Find out how you can apply for this card here. 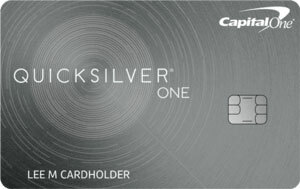 Capital One QuicksilverOne is very similar to the Quicksilver card. You get 1.5% on all purchases, all the time, with no spending limits or rotating categories. Cash redemption procedures are the same, as are the card’s general benefits and restrictions. The biggest differences are a modest annual fee ($39), no early spend bonus, and a higher variable APR for the QuicksilverOne card. The main benefit of QuicksilverOne is its relatively lax credit history requirements. Whereas Quicksilver (like most cash back credit cards) requires good to excellent credit, QuicksilverOne requires merely average, fair, or limited credit, though Capital One doesn’t specify exactly what this means. Early Spend Bonus: There is currently no early spend bonus for this card. Redemption: Redeem in any amount for gift cards, statement credits, or bank account deposits. You can also set up automatic redemptions at predetermined thresholds ($25, $50, $100, or $200) and receive your cash back in the method of your choosing when you hit the threshold. Key Fees: There’s a $39 annual fee and no foreign transaction fee. Cash advances cost the greater of $10 or 3%. Other Perks: All the perks of the Quicksilver card apply. See our Capital One QuicksilverOne Review for more information. Find out how you can apply for this card here. As with the flagship Discover it Cash Back, Discover it Chrome automatically doubles all the cash back you earn during your first year. You can redeem your cash in any amount as a statement credit, bank account deposit, check, or Amazon purchase credit. Sign-up Bonus: There’s no sign-up bonus, though the first-year double cash back is a nice perk. Cash Back Rate: 2% cash back on dining and gas purchases, up to $1,000 per quarter. Additionally, the card offers unlimited 1% cash back on dining and gas purchases above the quarterly limit, as well as on all other spending. Redemption: Redeem in any amount for statement credits, bank account deposits, paper checks, and Amazon purchase credits. Key Fees: There’s no annual fee or foreign transaction fees. Balance transfers cost 3% of the transferred amount. Other Perks: There’s no late fee on your first late payment. The card also comes with the Freeze It feature, which shuts off your card’s purchasing and cash advance capabilities with one click, and free FICO credit score. See our Discover it Chrome Review for more information. Even the most generous cash back credit cards rarely offer more than 5% cash back on any purchases. Cards that offer more than 2% or 3% cash back typically require holders to keep track of specific spending categories or respect purchase limits. By contrast, cash back credit card APRs usually range from somewhere north of 10% to more than 20% in some cases. At those rates, carrying a balance for even a single month can seriously eat into your cash back earnings. Habitually carrying a balance from month to month more than negates your cash back earnings, adding to the actual cost of your purchases. In other words, don’t let the promise of cash back lull you into letting your card balances grow over time. It’s almost never worth it. If you need to carry a credit card balance from month to month, opt for a low APR credit card instead. And if you worry about your ability to keep your credit card spending to a level that allows for in-full payments each month, choose a credit card with a low spending limit, or a secured credit card that requires you to make an upfront cash deposit. What’s your favorite cash back credit card?